Got a way with words? Known for your funny comebacks or comments? You can make up to $100 for a funny idea, or $300 for a poem. Here are six options to choose from. — Oatmeal Studios: Reportedly pays $75 for greeting card and notepad ideas. “We reject the following: PUNS, GROSS IDEAS, MEAN IDEAS, LENGTHY POETRY or PROSE, NARROWLY FOCUSED IDEAS (ie: new baby for quintuplets).” Click here for more. — NobleWorks: “Want to see your work for sale at NobleWorks Cards? As one of the leading humor card publishers, we strive to find funny, unique, risqué and carefully-crafted card suppliers to help stock our virtual shelves.” For details, click here. — RSVP: “We are always looking for new talent when it comes to writing! We publish cards with fresh and innovative messages that express sentiments in interesting, non-formulaic ways. Our line has a broad range of card types, from short and sweet to witty and sharp to long and heart-felt. 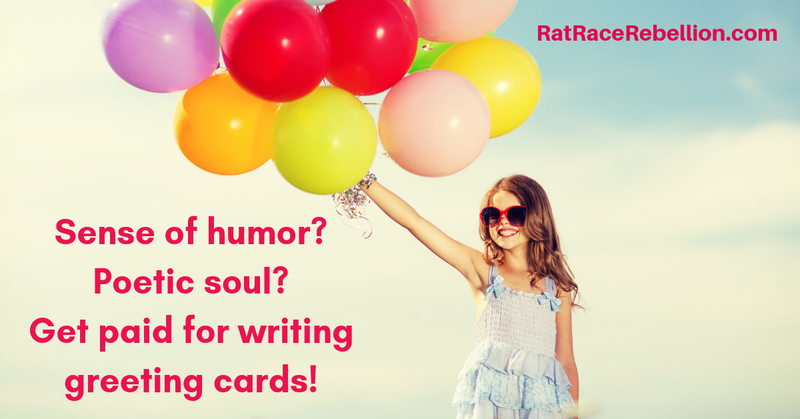 While humor writing will always be slightly different than non-humor writing, here are some common qualities that we look for when it comes to writing for our greeting cards.” Payment amount not specified. For more, click here.